At Burton-Sage Wedding Videography and Photography, we're "In Your Corner!" 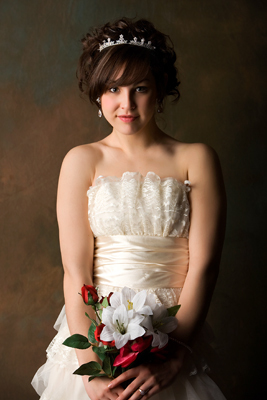 Burton-Sage Photography & Video is located in Syracuse, NY and specializes in the field of wedding videography and photography. Guaranteed delivery of your Wedding Photos and DVD in 30 Days! At Burton-Sage, The Wedding Videographer is "In Your Corner!" That's our mantra at Burton-Sage Photography & Videography. We're here to provide value for our clients. Burton-Sage Wedding Photography & Video can provide you with the best information in hiring a photographer or vieographer for your special day. Plan your wedding wisely. Do your homework. You'll only get one chance to get it right. Email us and set up a free consultation. We'll answer all your questions and try and guide you in the right direction for your special wedding day! We can also help with your Wedding and Bar/Bat Mitzvah planning by providing seasoned professionals for your special day. Burton-Sage Wedding Videographers will provide you with peace of mind because you're getting the most experienced Wedding Videography and Photography Professionals in the Syracuse NY and surrounding areas. Burton-Sage Videography is a wedding video and portrait photography studio based in Syracuse, N.Y. For the absolute best in Wedding, Bar/Bat Mitzvah & Event Photography & Videography. Affiliated with "Foremost Wedding Vendors of CNY"
Family and friends flying into Syracuse airport for your wedding? Check out airportparkingsyr.com for a complete listing of Syracuse area restaurants, accommodations and night life.